Fill out the form below for FREE customized grant help for HazMat and Chemical Identification projects including grant research, grant alert notices and grant application reviews from our team of grant experts. 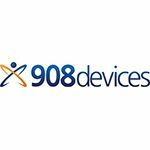 Whether you're just starting your HazMat and Chemical Identification project or need to add the final touches to an application, our staff of grant consultants has teamed up with 908 Devices to provide grant resources and services specific to HazMat and Chemical Identification. We do not guarantee funding, but will do everything we can to assist you in submitting a successful grant application.